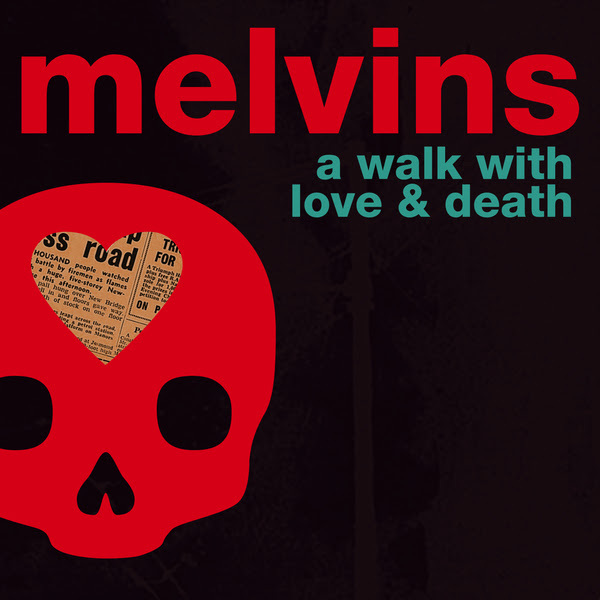 The Melvins, who release the double album A Walk With Love & Death on July 7 via Ipecac Recordings, stream new song, "What's Wrong With You". The song features vocals from Steven McDonald (Redd Kross/OFF! ), who is part of the band's current recording and touring line-up, as well as That Dog's Anna Waronker. Pre-orders for the 23-track release are available now: http://smarturl.it/MelvinsAWWLAD. Digital pre-orders include an instant download of “Christ Hammer" (https://youtu.be/Mp260FBm6IA) and "What's Wrong With You." With A Walk With Love & Death, the trio of Osborne, Dale Crover and McDonald showcase two distinct sides of the band’s music: Death, a proper Melvins’ release and Love, the score to the Jesse Nieminen directed, self-produced short also titled A Walk With Love & Death. A release date for the short has not been announced yet but a trailer has been made available: https://youtu.be/NhWvlpf-uXg. The albums, which include guests Joey Santiago (The Pixies), Teri Gender Bender (Le Butcherettes/Crystal Fairy) and Anna Waronker (That Dog), were co-produced with Toshi Kosai.